About – Hayter & Associates Inc.
About Hayter & Associates Inc.
Glenn Hayter started the company in 1990 after completing the courses and exams to be come a Certified Management Accountant. Utilizing Glenn’s prior business and farming experience, the focus of the business was to provide accounting and tax planning services to individuals, farmers, and owners of small business corporations. Over the past 28 years, the business has expanded into a wider range of services including estate planning. Today, Hayter & Associates Inc. is located in Clinton, ON, and our dynamic team is passionate about helping you make the most of your money. Whether you need help with budgeting, financial planning, tax preparation, estate planning, or need some small business advice; we’re here to find a unique and personal strategy that fits your life. 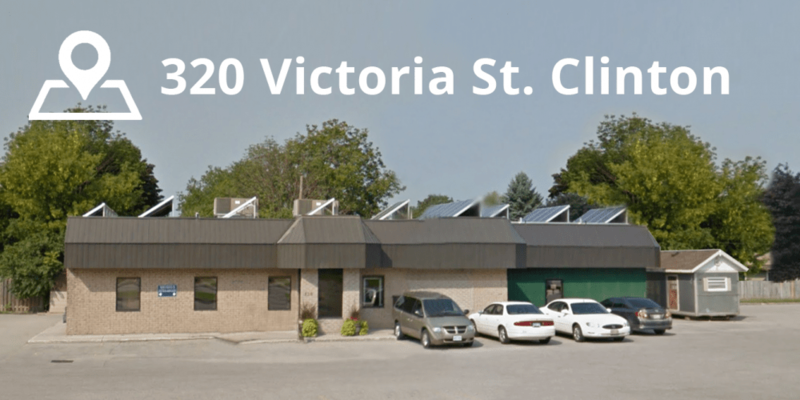 320 Victoria St. Clinton, ON. CONTACT US TODAY TO TAKE HOLD OF YOUR FINANCIAL FUTURE! Whether you need help with budgeting, financial planning, tax preparation, or need some small business advice; we’re here to find a unique and personal strategy that fits your life. Information found on this site is for general informational purposes and should not be considered estate, tax planning, personal investment, or tax advice. Always give us a call or email before taking any action based on this information to ensure it is current and relevant to you. © 2018 Hayter & Associates Inc.